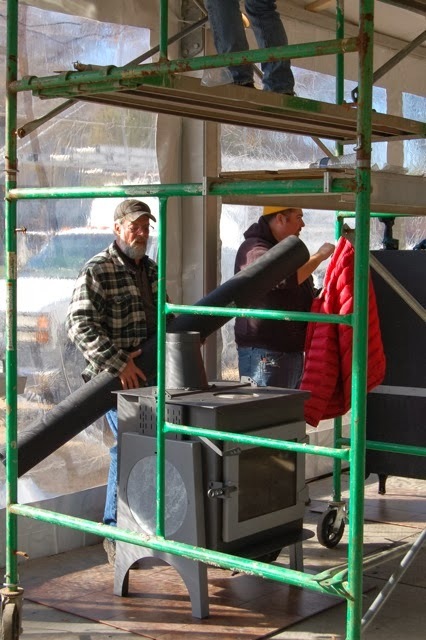 WCAX TV called yesterday morning after a colleague at the station received an email about the Wood Stove Design Challenge. When Adam Sullivan first made contact to get information, he was unaware that we had actually won. So his potential story just turned into something a bit bigger! This is the first video I've seen of the grand prize winner being announced, and through the National Geographic website! Wow are we feeling really good right now. Last evening Tom Morrissey accepted the grand prize in the Wood Stove Design Challenge, as well as the award for most affordable. In doing so, Tom shared a portion of the $25,000 award with two other innovators that had come to DC on a shoestring budget and with no corporate support. 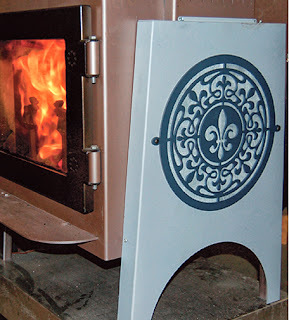 Here is another article covering the Wood Stove Design Challenge written by The New York Times, titled Contest Aims for a Cleaner-Burning Wood Stove. Please note: Woodstock Soapstone Company originated in Woodstock, VT but moved across the river to West Lebanon, NH in 1985. 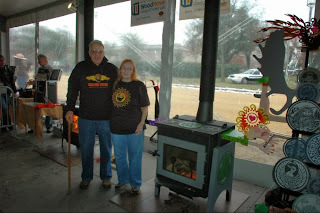 If you like what we're doing for the Woodstove Design Challenge Contest - making an affordable, high-performance woodstove that can be customized - please vote for us in the "People's Choice" balloting. 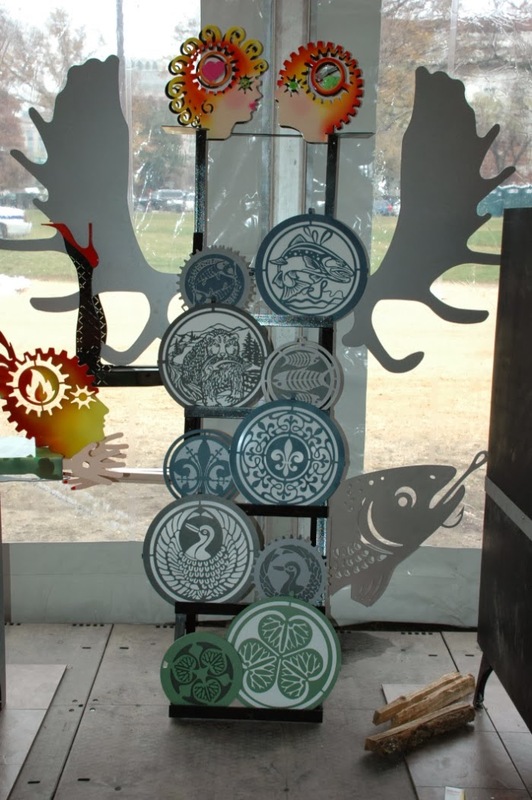 Just click here and vote for Woodstock Soapstone Company. Be sure to check our blog again soon. We have more news coming about our new IDEAL STEEL Hybrid! Today we will post a couple of stoves for fishermen. 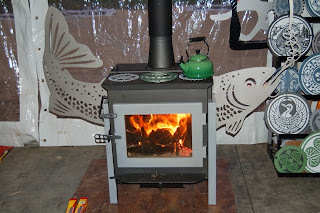 We have lots of ideas for fish - more than we could put on two stoves, but here's the first to start. Both designs will probably swim down to Washington DC with us next week! We recently did 3 emissions/efficiency tests using cordwood, and testing to the newly proposed ANSI standard for cordwood testing. The first two tests used about 35-40 lbs of wood, and the high burn used about 20 lbs (as specified in the proposed standard). The results are printed below. 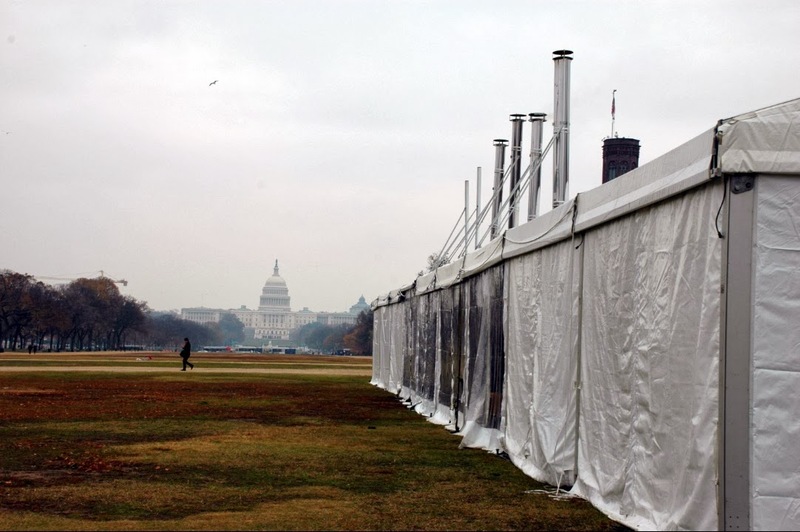 The first two tests lasted 15.4 hours and 13.23 hours respectively. Both had HHV efficiency over 80% (82.27% and 80.9% respectively). They both had emissions under 1 gm/hr (0.88 and 0.68). We did not do a burn at the lowest setting, mostly because we never had a 20+ hour window that was open while we were working in the lab. There are additional comments about the high cordwood burn below. 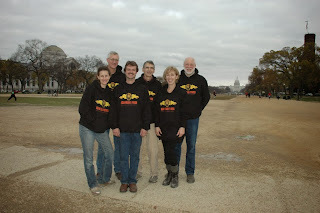 Tom Morrissey, president of Woodstock Soapstone, was interviewed and featured on NPRs Marketplace last night 11/1/13. 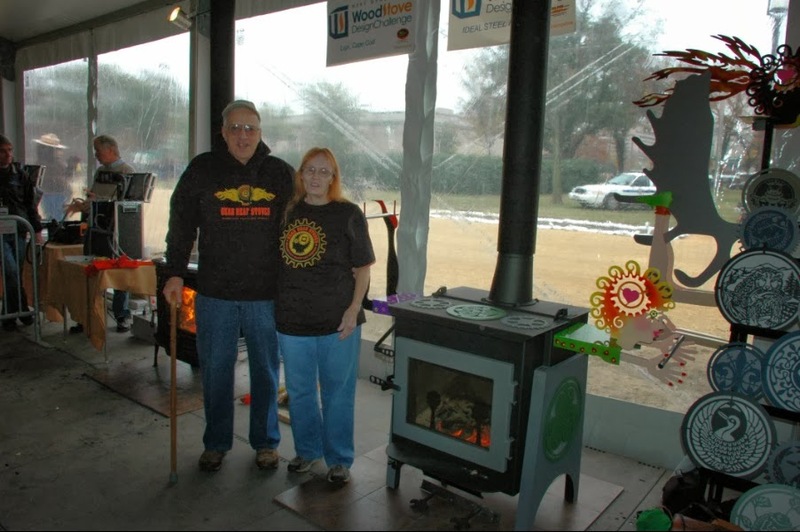 Please click on the link and take a listen to New England cranks up its wood-burning stoves on Marketplace. Click here to link to Marketplace's story "New England cranks up its wood-burning stoves"
The cooktop consists of three burners. The center burner always has a decorative design. The outside burners are held in place with centering pins, and the middle burner is fastened to an 8” round cutout in the top. The burners are different heights, to create a temperature variation across the burners (data on that later). The center burner is a little thicker than the outside burners. The center burner also lifts out (with a “helping hand”) to reveal a stainless steel shield just above the active combustor - creating a VERY HOT cooking space - perfect for a wok, or sauteing at very high temperatures. This is the high burner! In the video below you will see the "helping hand" at work, exposing the high heat area below the center burner. stove is hot. It stores on the back of the stove. 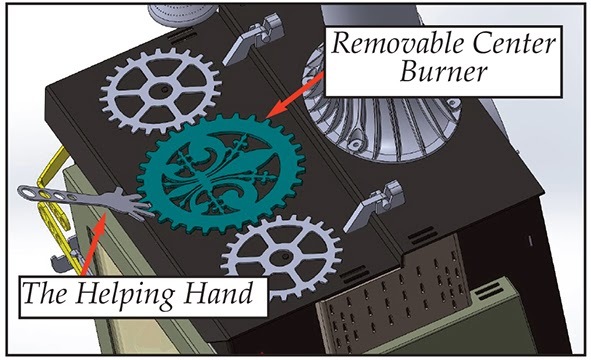 The center burner can be removed for high heat cooking. heat of the catalytic combustor! When Jason Guimaraes asked for a moose stove, at first we thought we would cut some Moose andirons, and make a nice moose side and top. But moose are really BIG, and the ornaments were fairly small in relation to this big stove. 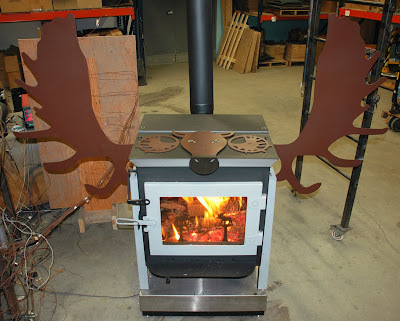 So we put big antlers on the stove, and a big moose head on top, and it all kind of came together... Jason’s TROPHY Moose Stove. We have a couple more TROPHY stoves in the works, so stay tuned. In the meantime, take a look at the video below to see Jason talking about his Moostastic stove! 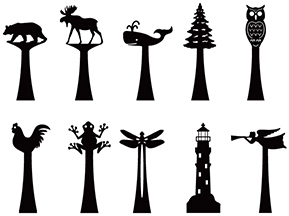 Some of the most beautiful designs in the world are patterns from nature, whether they are simple repetitions or complex fractals. In this design, Lorin Day and Kristie Haupt take a simple hollyhock leaf and convert it into a slightly abstract, repeating geometry sure to please gardeners. Here’s a design for Chris Neufeld of Blaze King. 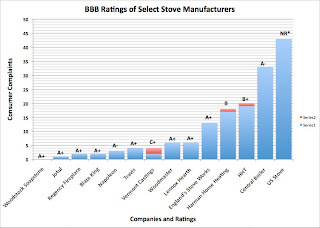 Chris is a good friend, and we think of Blaze King more as an ally in advocating for high efficiency stoves than as a competitor. Chris is an avid outdoorsman, who hunts and fishes every chance he gets. We tried to combine the two (hunting and fishing) with a salmon-hunting bear, inspired by the image on the Alaska quarter (Chris also loves to visit Alaska). We’ll have t-shirts and hoodies with our new logo available for our existing customers at the event on the National Mall in Washington, D.C. (November 15-18). Just stop by our contest stove and we'll get you fitted up! 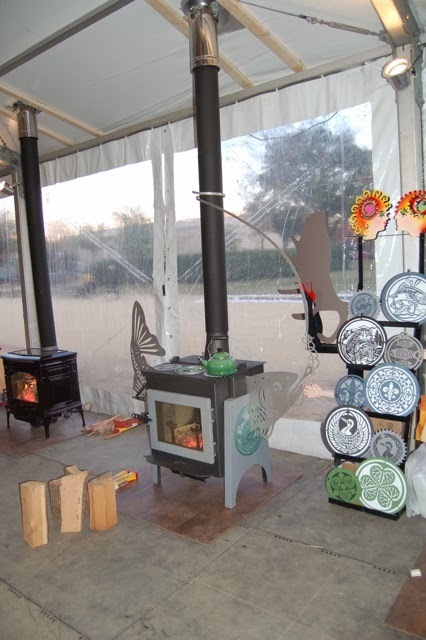 For more information about the Wood Stove Decathlon, please click here. Tees & Hoodies with our New Logo! Over the last two weeks we have tested our Design Contest Stove at an independent lab outside of Montreal to (1) the current EPA standard, (2) the proposed EPA standard, and (3) the most recently published (September 24, 2013) ANSI Cordwood Standard. The test lab is accredited by EPA and CSA (Canadian Standards Association), and the results will be submitted to US EPA for approval shortly. 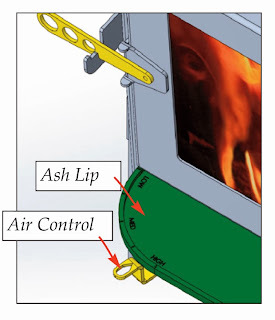 The Air Control Damper is simple, intuitive, and conveniently located on the radius of the ash lip. You can easily slide it open and closed with your foot! 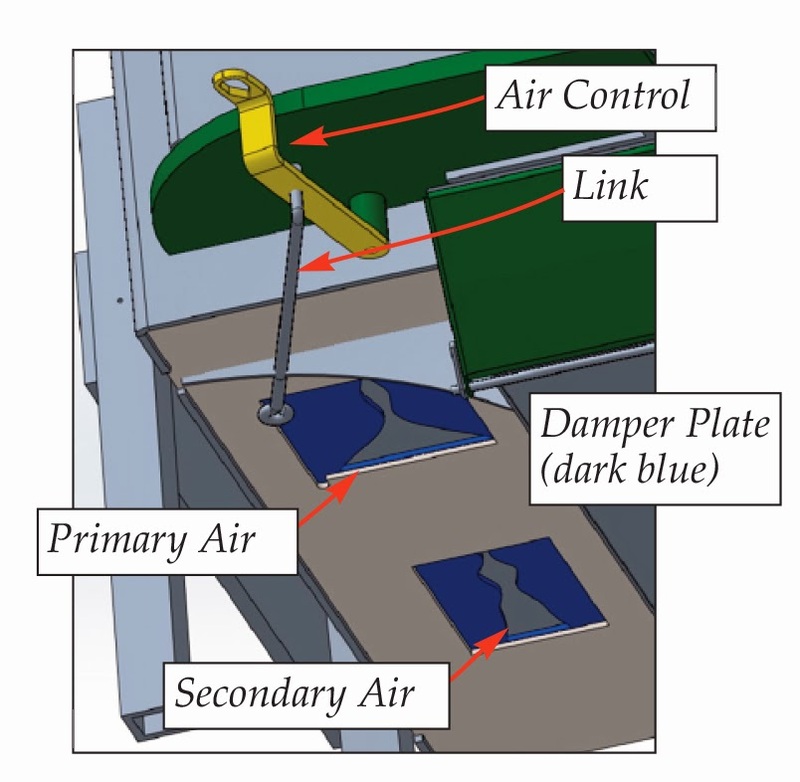 As you move the air control damper, a link moves the damper plate across two openings; one for primary air and one for secondary air. 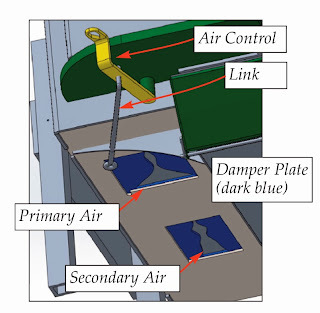 The ratio of primary air to secondary air has been determined in development. 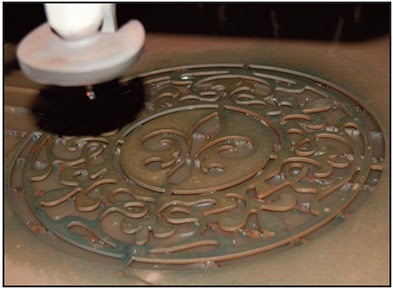 The damper plate is calibrated so that both primary and secondary dampers open and close with a single control, at a pre-determined ratio. 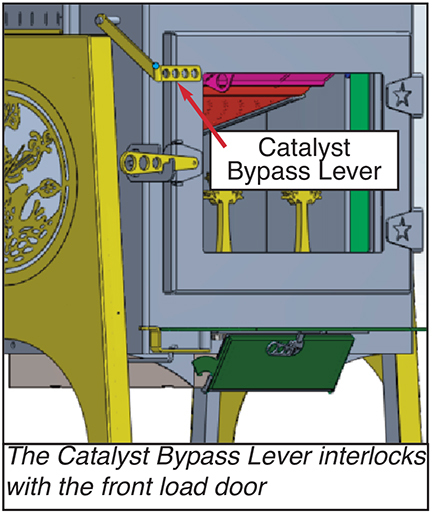 A third damper automatically opens an air passageway that feeds the catalyst only (see Under the Hood 4). and travels along the radius of the ash lip. The Air Control adjusts both the Primary and Secondary Air. 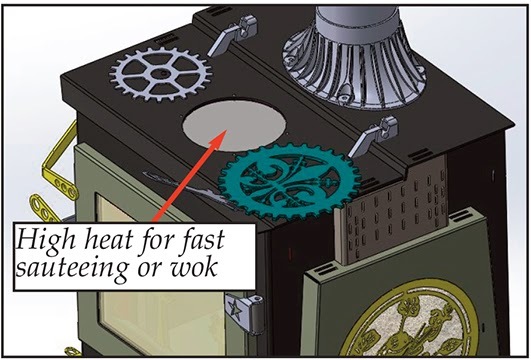 On the Design Challenge Stove, we position the operating catalyst right under the cooktop, tilted slightly toward the front of the stove (it slides back when not in use). We haven’t posted much this week because we’ve been so busy! It’s getting cold and we have to take care of our customers (who all wait until the first frost to order stoves, ask for advice, or order parts). We are scheduled to send our Design Challenge stove out for EPA testing at the end of next week, so we’ve been doing final tweaks to the combustion design and sending the stove through our internal testing regime most of this week - continuing into next week. We should have EPA test results around October 16-17, and will publish the results here. We expect quite good results. There’s a short video below of part of today’s high burn test. 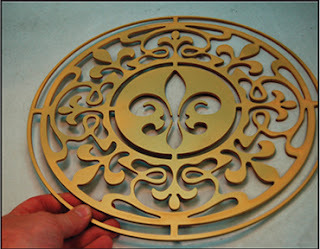 The picture below shows the test cutting of the Fleur-de-Lis for the Kopp family. We also cut a detachable Fleur-de-Lis pattern that allows for easy changes of color, and future changes of design. You can see it below on one of our test stoves. A lot of our employees are designing their own stoves, and we’ll start posting some of those designs next week. We also hope some of our prospective beta testers will contact us with their ideas! We’re having fun with this stove! More to come next week. 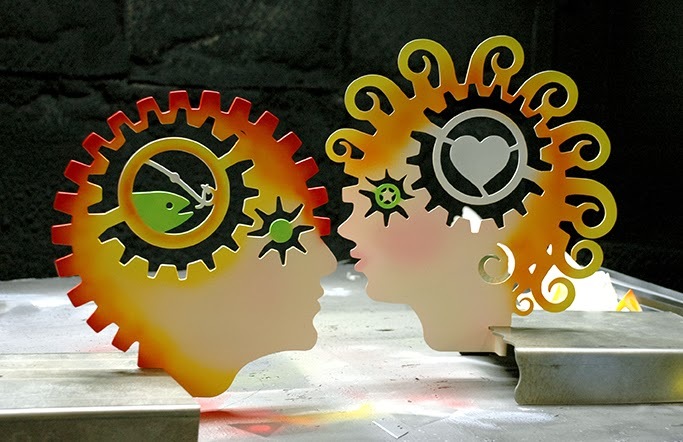 Have a pleasant weekend! 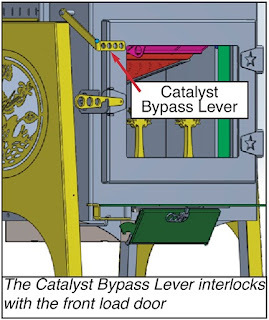 The catalyst bypass lever has to be lifted before the front loading door can be opened, otherwise the door cannot be opened more than a few inches. Thanks to everyone who offered to be a beta tester! 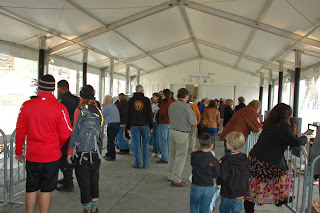 We are moderately swamped. Initially we will keep the stoves close to home (NE/Eastern NY). Our focus is on testing under different draft conditions (and both top and rear exits) to focus on front window cleanness, smoke-free loading, and ease of operation. The Steal Hybrid has a firebox design with both a catalytic combustor and secondary combustion. We’ve been testing it all winter, and are pleased with both efficiency and emissions results (more on that later). The test units don’t look like much, but we have been more interested in performance than looks. 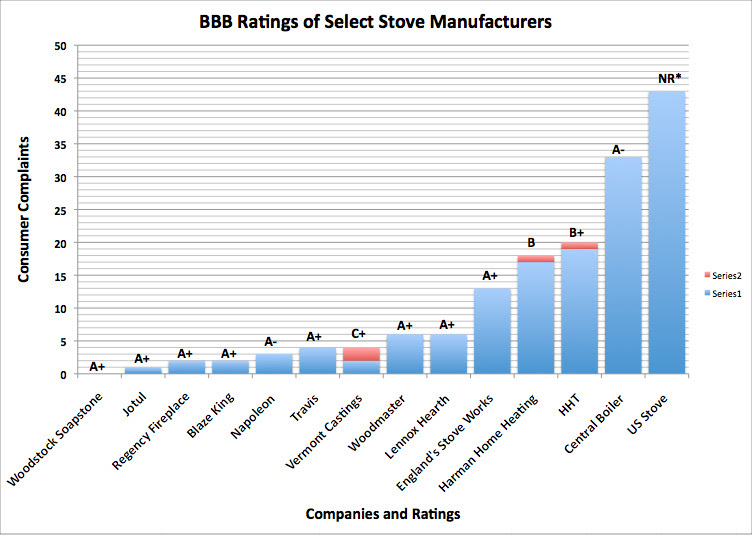 BBB rates wood stove manufacturers!